The period of initial implementation is a sensitive time for a new program. Its success depends upon close attention to installation stage activities and implementation drivers. 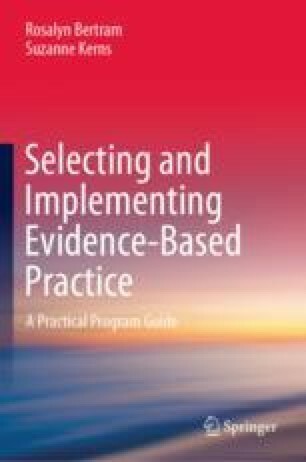 To enhance efficiency and success, initial implementation should begin in a small portion of the organization, a transformation zone, where many of the common concerns discussed in this chapter can be experienced, learned from, and addressed before scaling up the new practice to include all staff. Practical challenges during initial implementation are common. In this chapter, we review several strategies to overcome such challenges including staff confidence and competence, low or inappropriate referrals, low service delivery rates, perceived clinical barriers, and other organizational challenges.